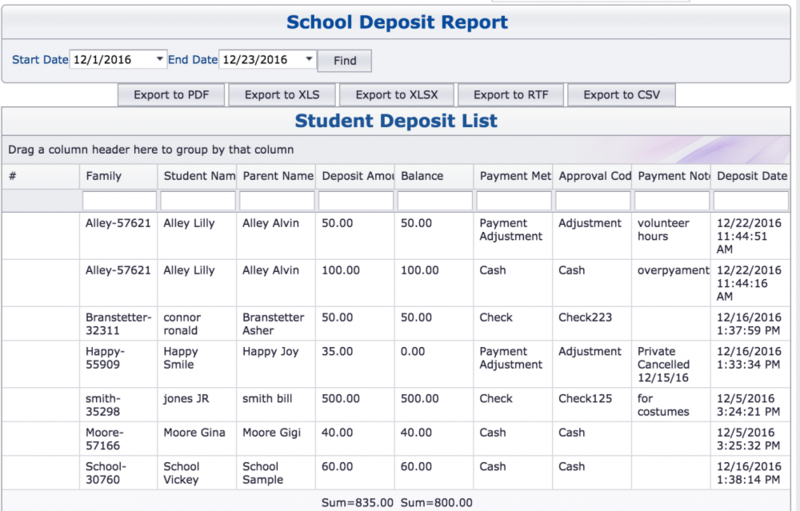 The “Parent Deposit Report” shows you all Cash, Check, Credit Card or ACH Payments posted as a deposit. Click “Billing” enter your “Start Date” and “End Date” and hit FIND. The report will show you all deposits entered in the time period you selected. Totals are included and date and time deposit posted. To print report, you will first need to export to Excel. Click the export to XLS or XLSX button. A copy of the report will be downloaded to your computer.